Welcome to The RiversideHouse Chiangmai. 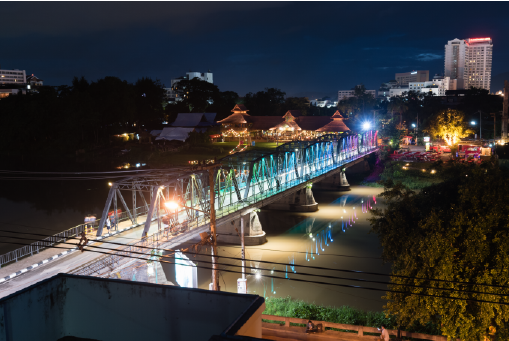 is your second home for your holiday in Chiang Mai, Thailand. All rooms are in a quite peaceful atmosphere conductive to relaxing and getting close to nature at a budget price. Our warm welcome and the best service from friendly staffs will make your holiday enjoyable and memorable. The Riverside house has a total of 39 rooms, comprising of a cluster of 3 buildings, each 2 or 3 storey high. Our rooms with either twin or double beds are air-conditioned. All rooms are clean and comfortable with all modern facilities to make your stay with us, an enjoyable one. Our room has private hot and cold shower with European style toilet, color satellite & cable TV and telephone. Riverside House has 5 types of rooms for you to choose from: Superior, Superior PLUS , Family Room , Deluxe and Deluxe PLUS with private balcony. The guest rooms are equipped withair-conditioning and shower facilities, free Wi-Fi cable TV & Fridge. and A tour desk & safety deposit box are available. Swimming pool are available. The hotel features laundry service and a library. A tour desk & safety deposit box are available.